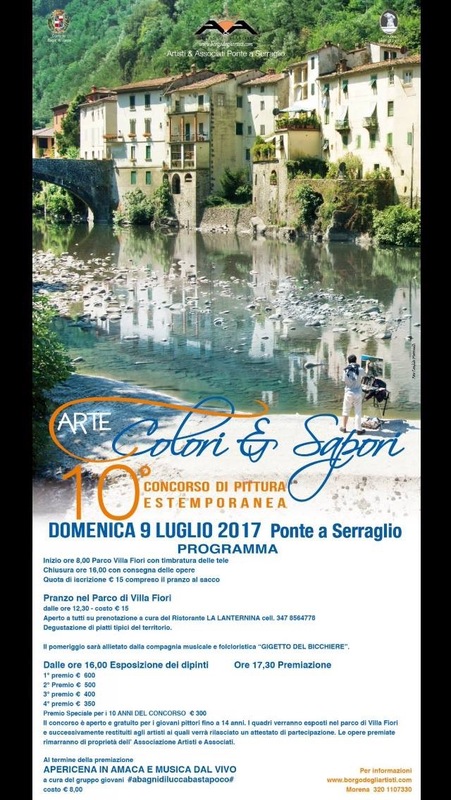 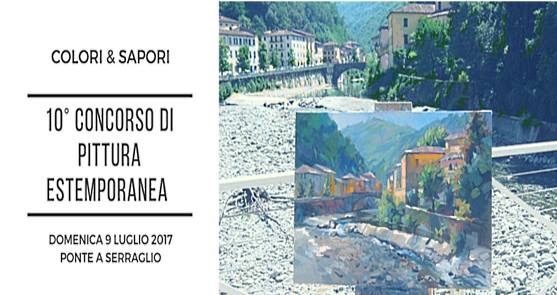 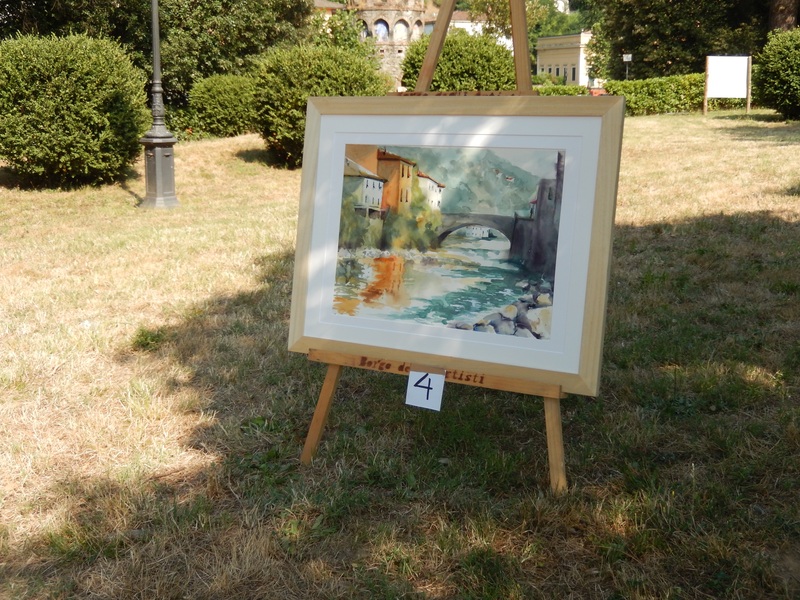 It is almost time for the annual art competition held by Borgo degli Atisti in the park beside Villa Fiori. 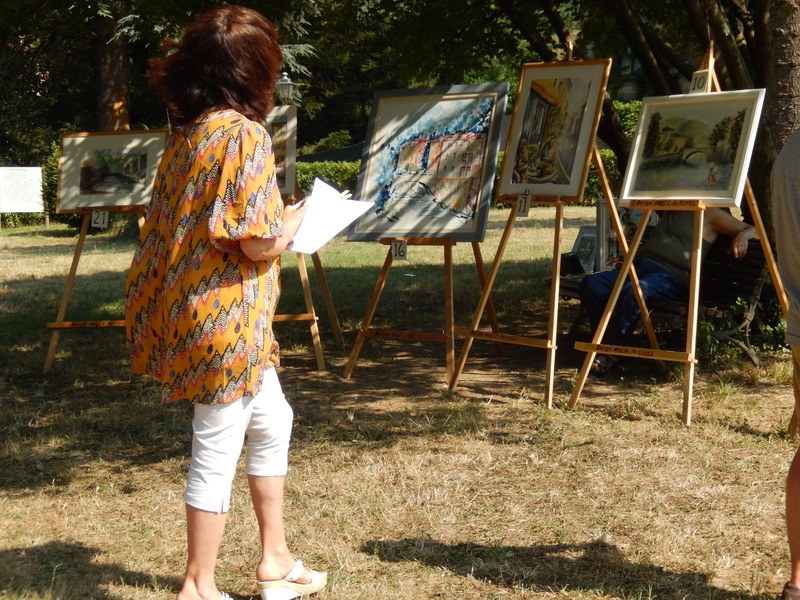 It is a fun day whether you are an artist or an observer. 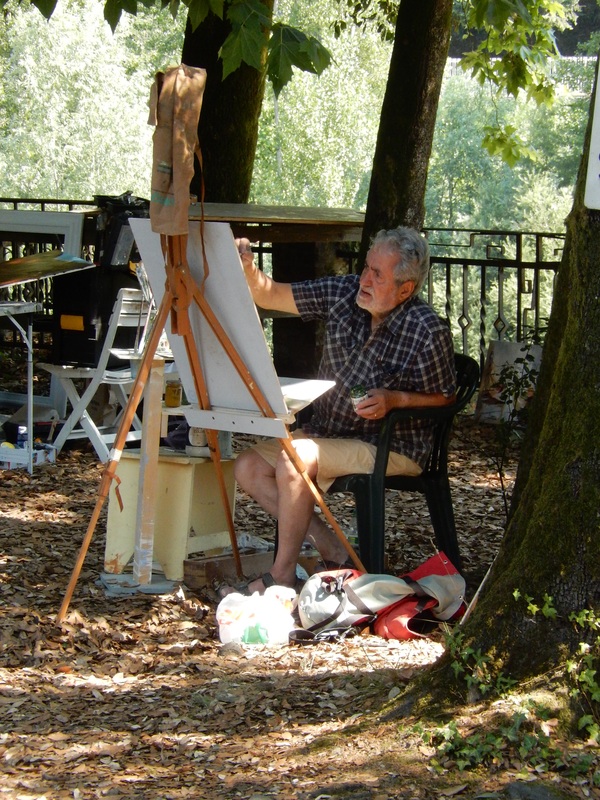 Come to watch the artists at work or set up an easel and start painting. 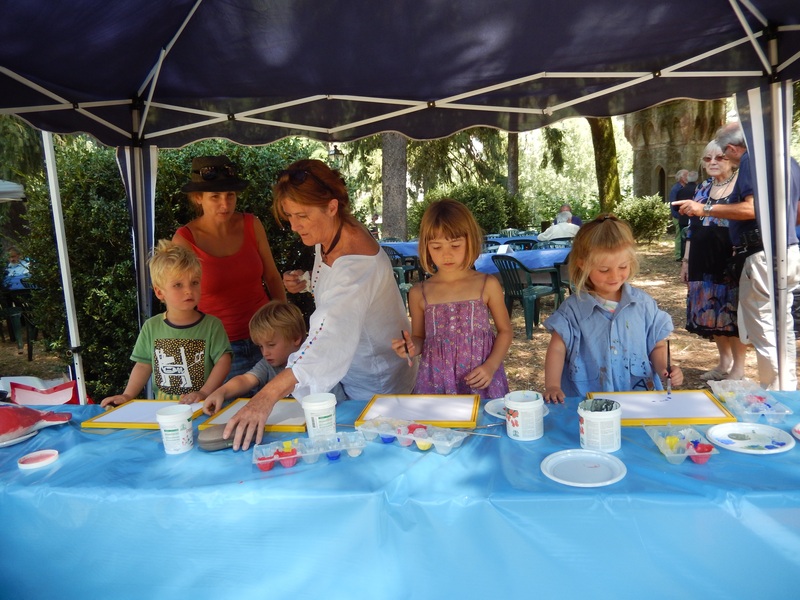 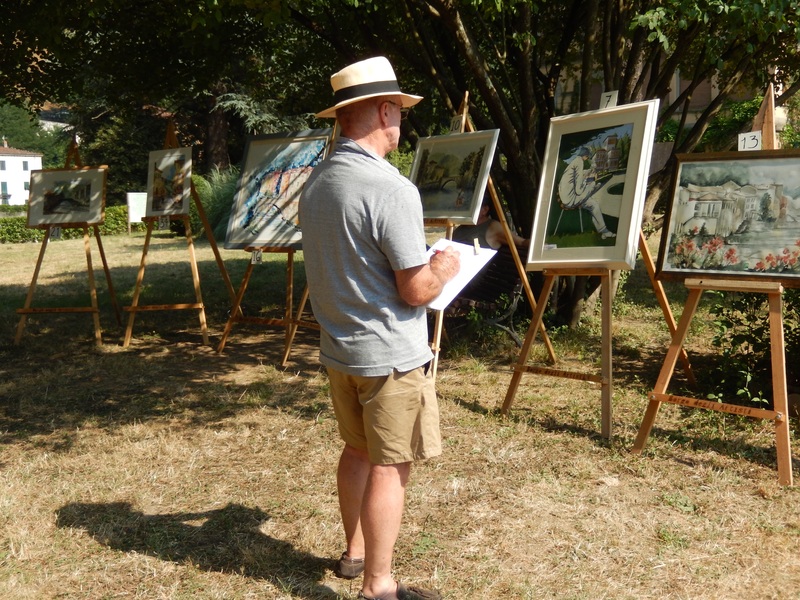 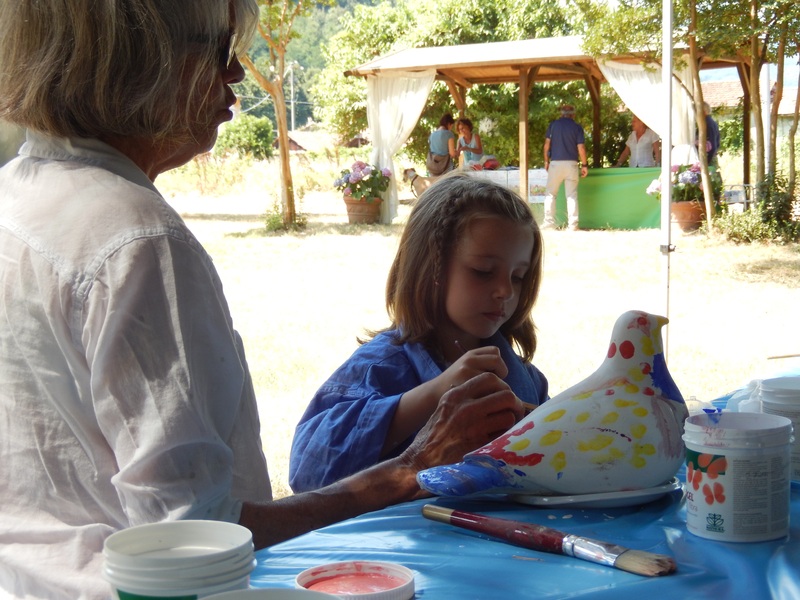 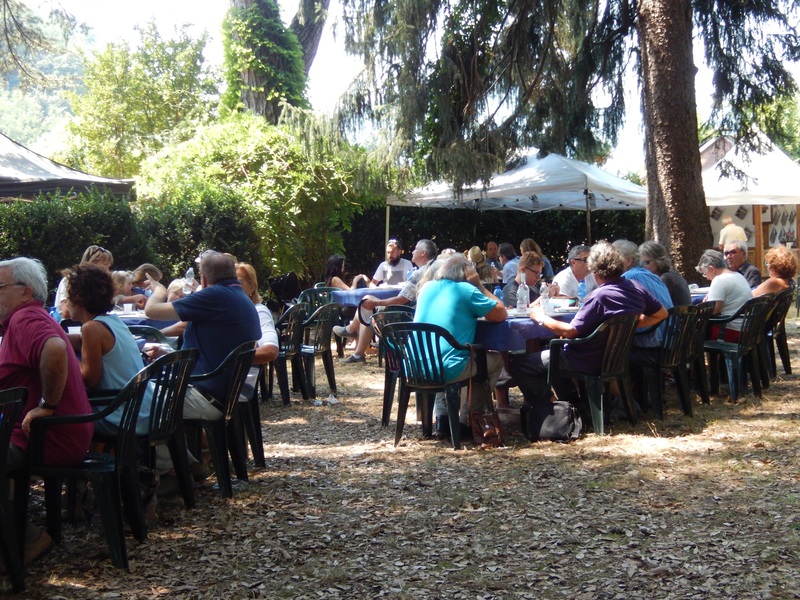 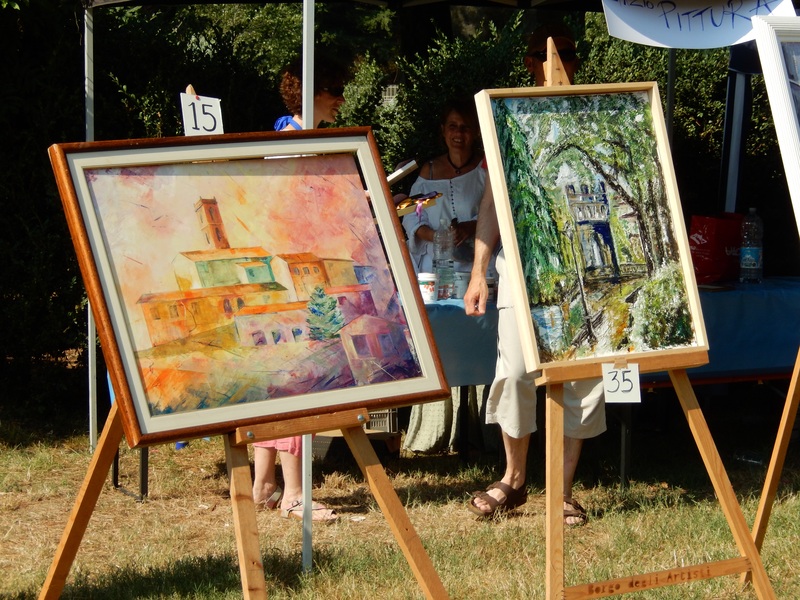 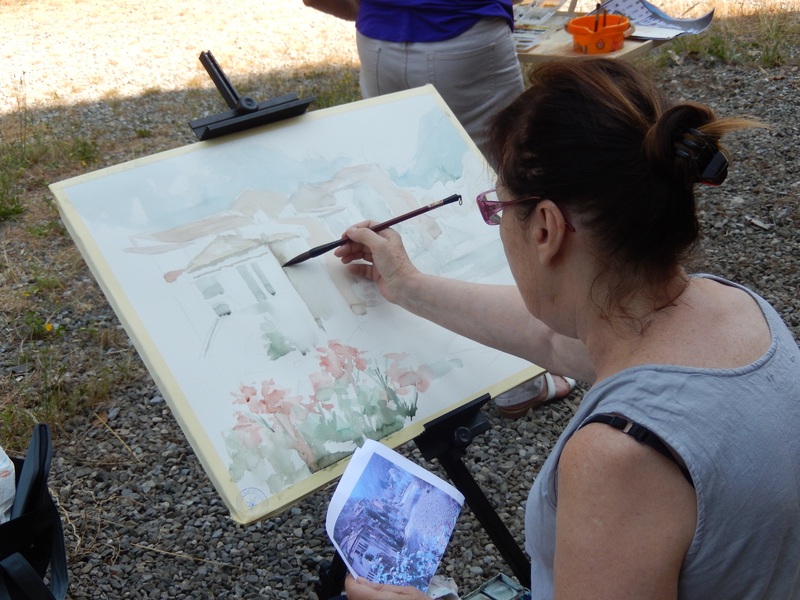 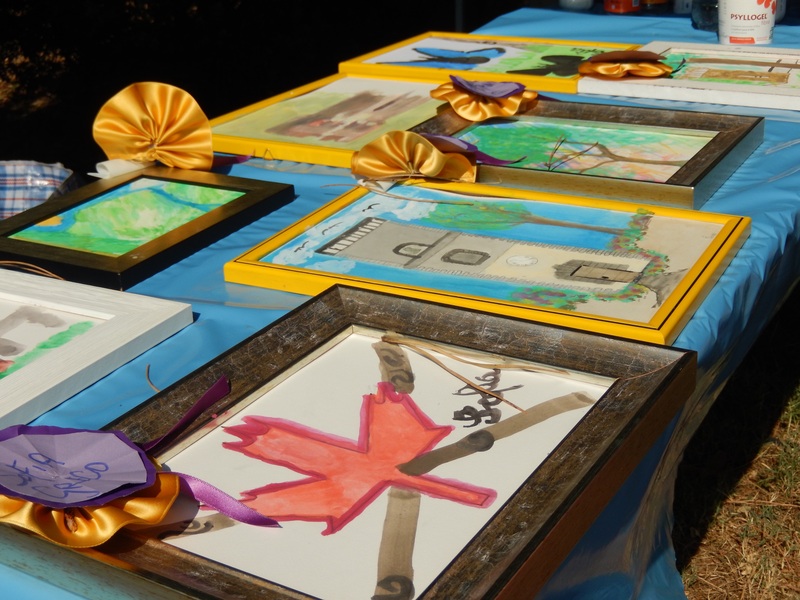 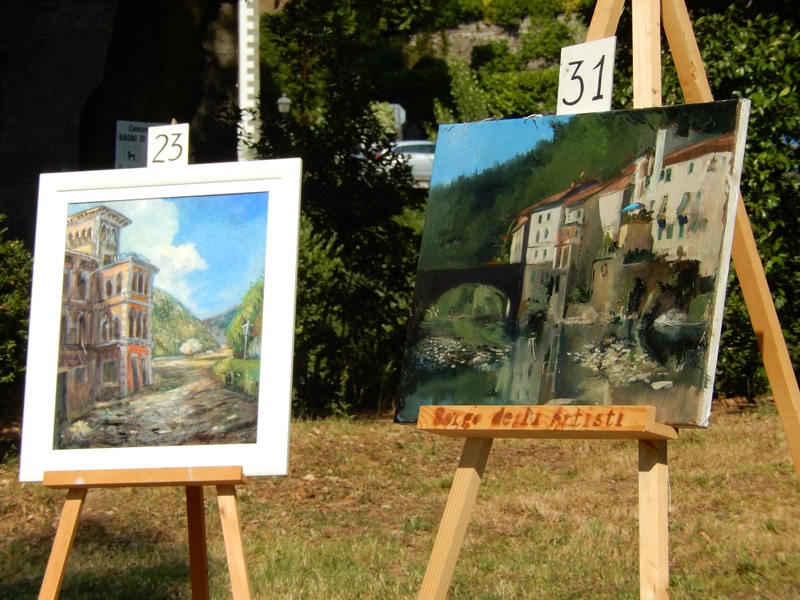 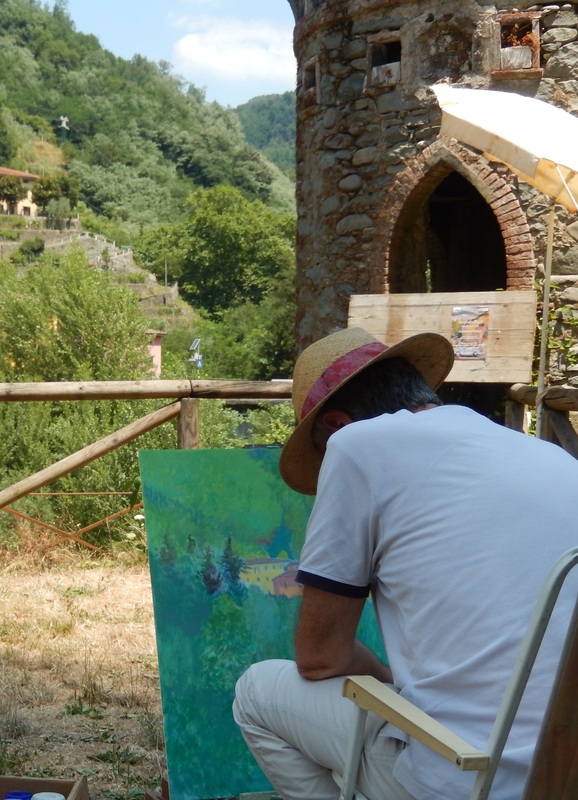 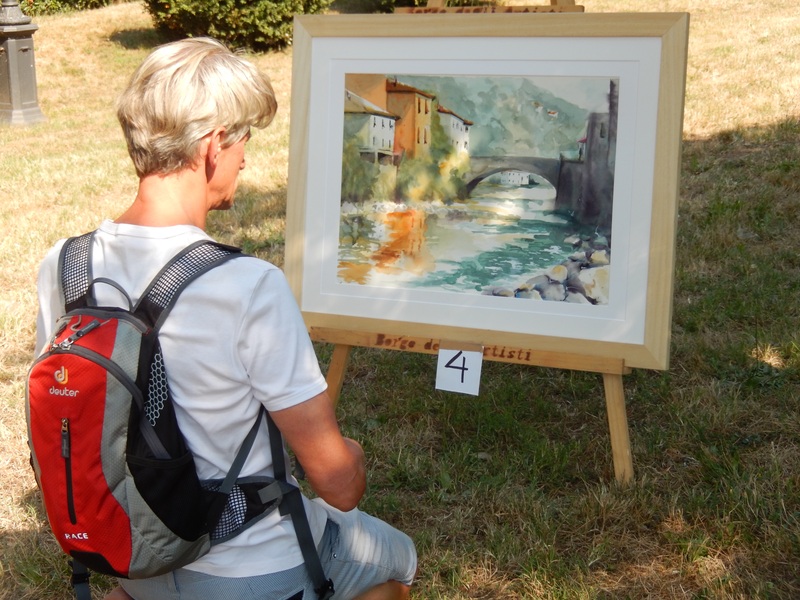 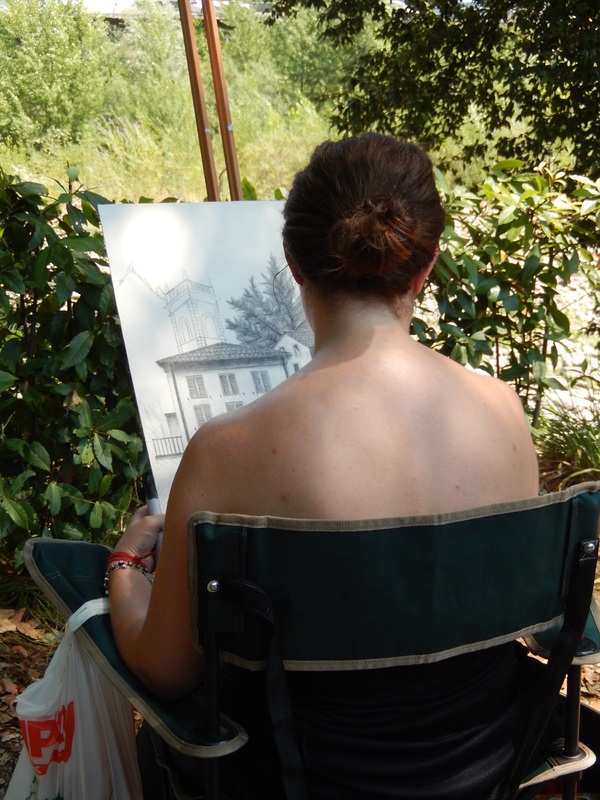 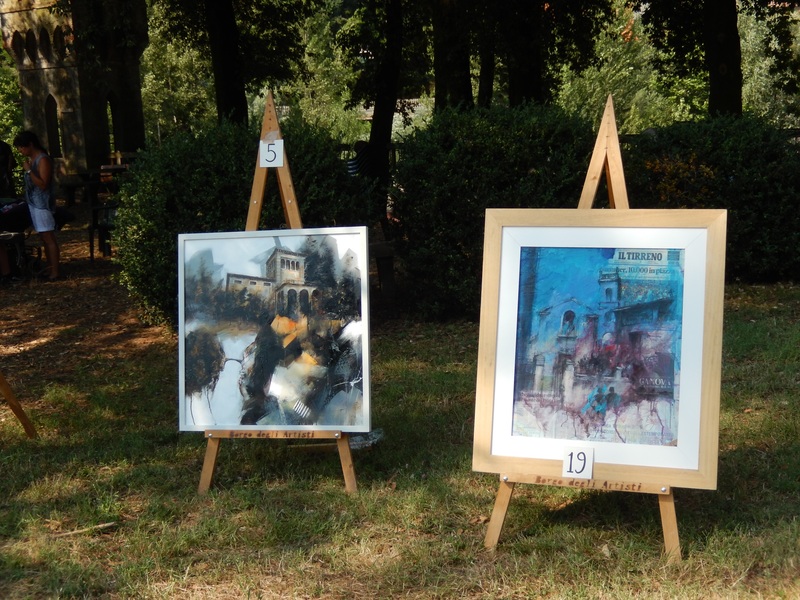 On Sunday the eighth annual Art Competition organised by Borgo degli Artisti was held in the park beside Villa Fiori. 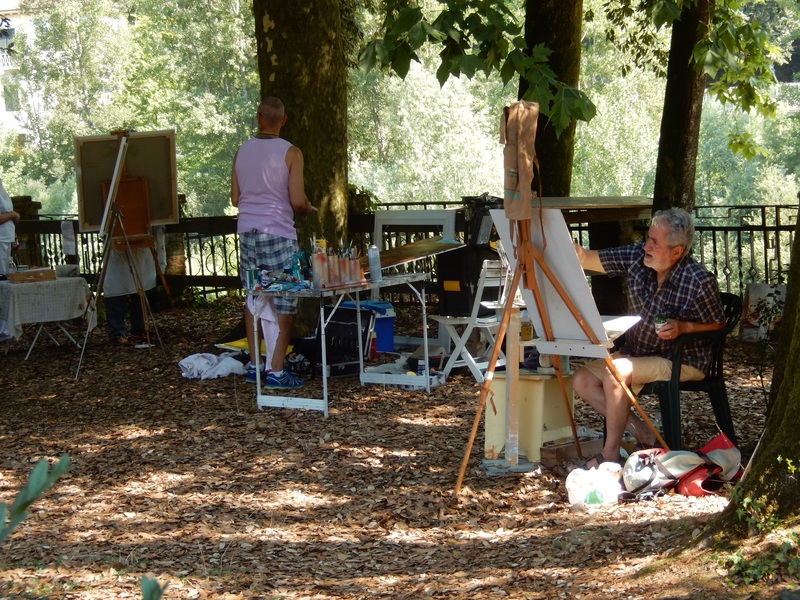 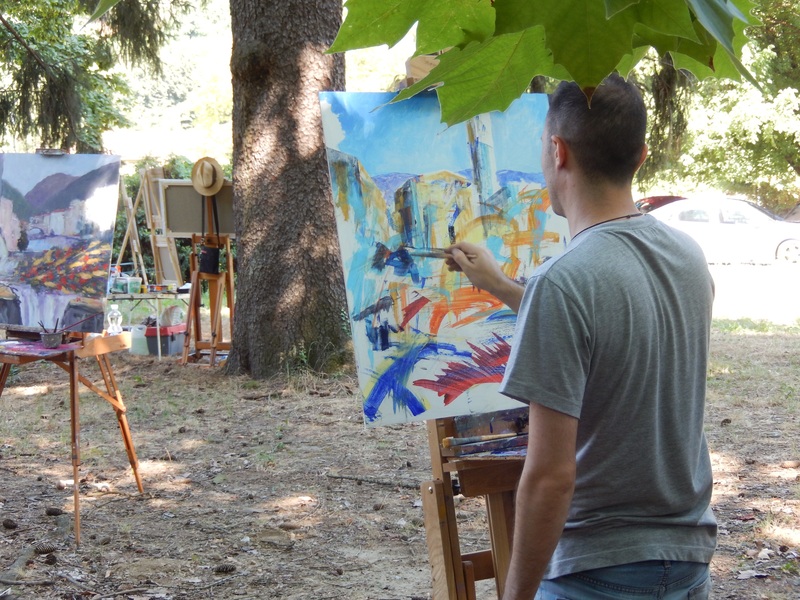 The day was hot, so most artists set up their easels in the shade of the old trees. 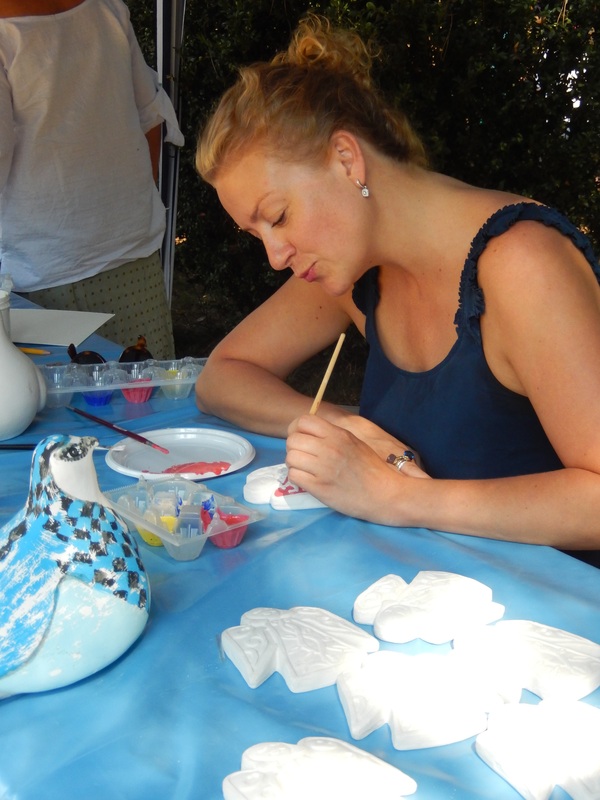 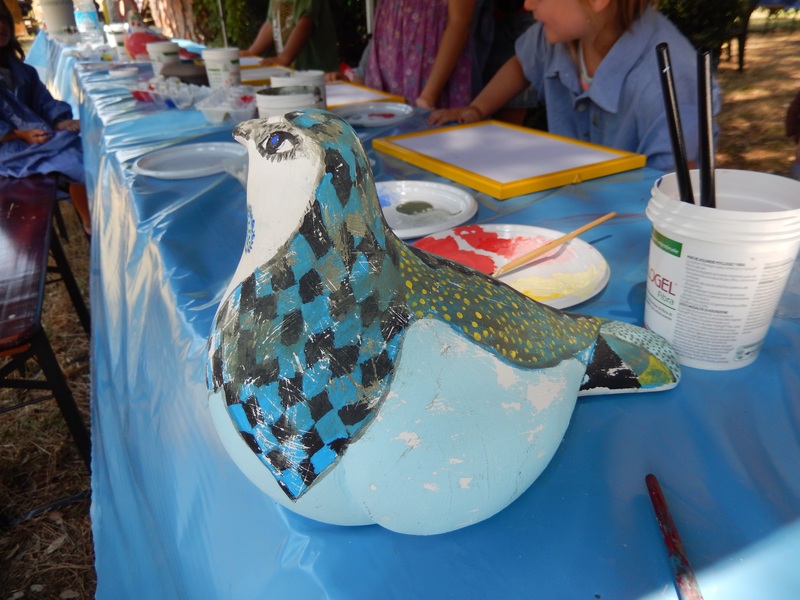 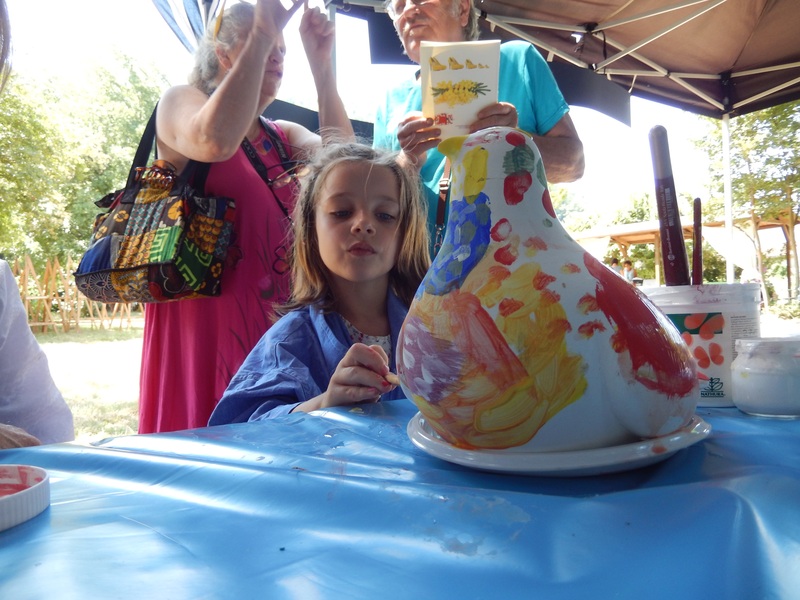 There was a space set up for the children, and Belinda, to paint a dove or create their own art. 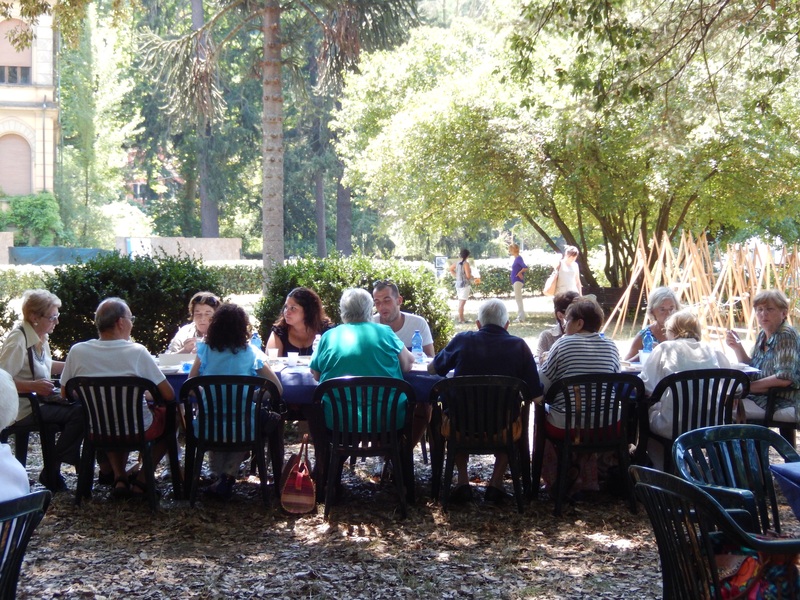 Lunch is always an important part of the day…always. 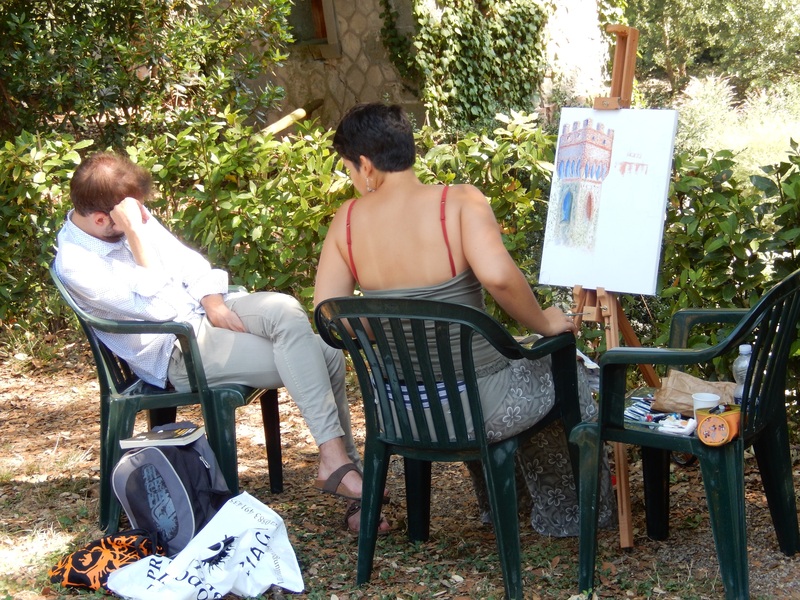 The artists had to work quickly. 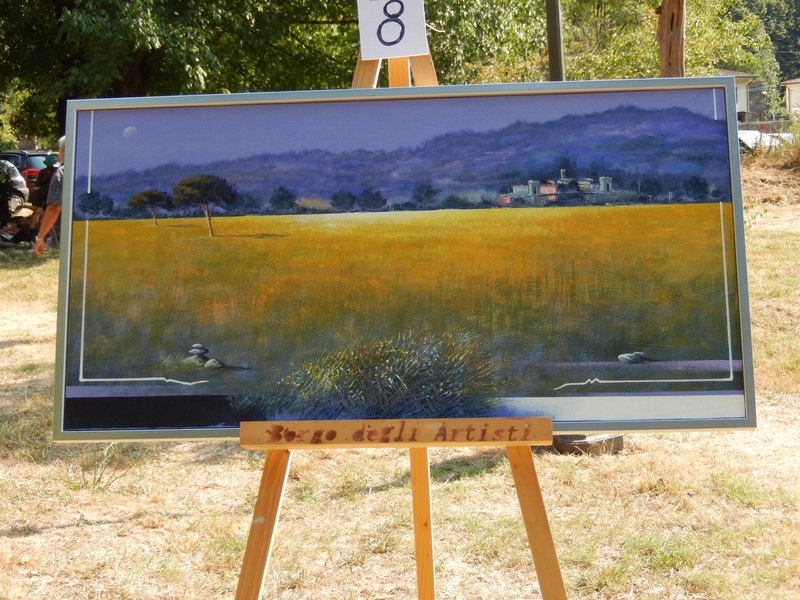 Their work had to be completed in time for the judging. 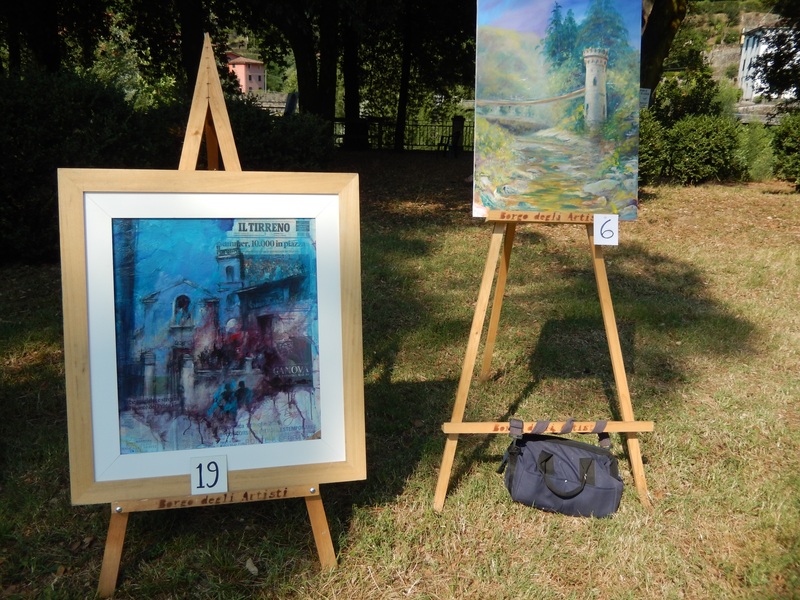 The winners were… Student…Serenella Randazza 1st…Emilio Cavani 2nd…Silvio Bondarda 3rd…Massimo Ricco 4th…Graziana Masetti. 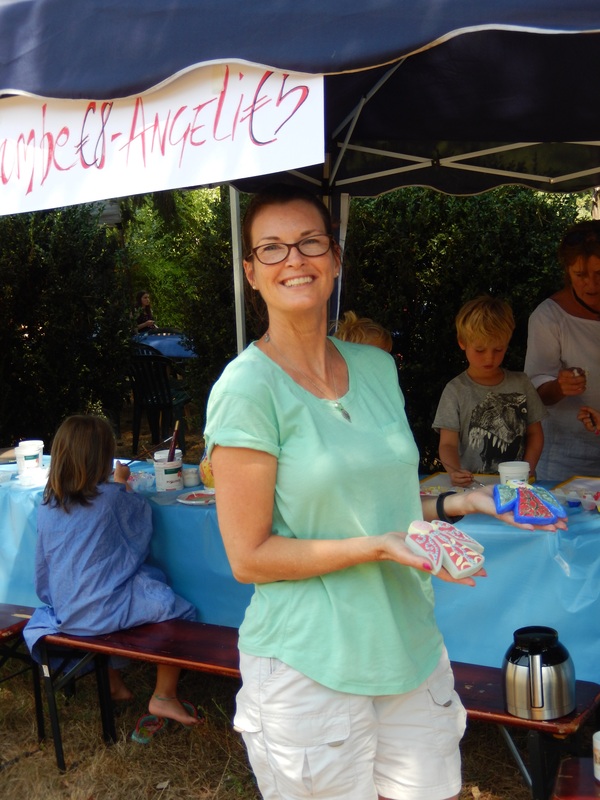 A big thank you to Sheila, who took all these great photos for us. 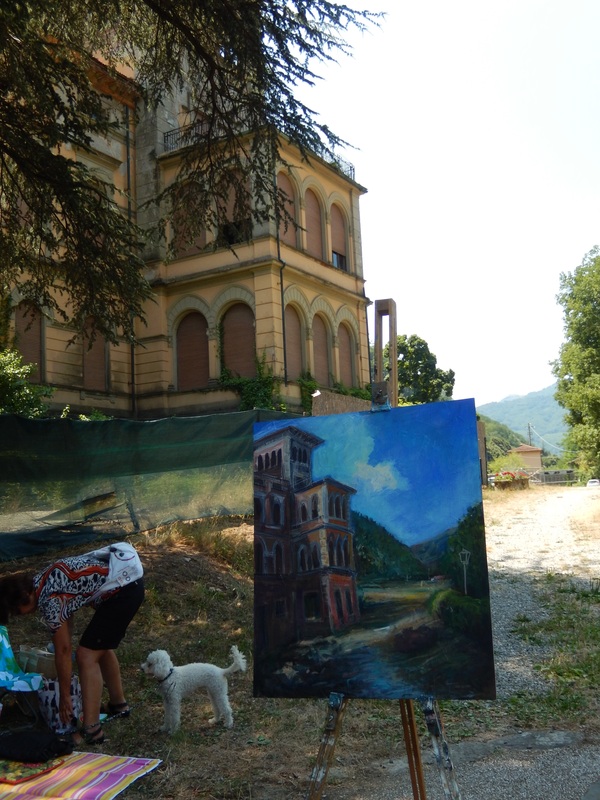 …and thank you to Borgo degli Artisti for organising the event. 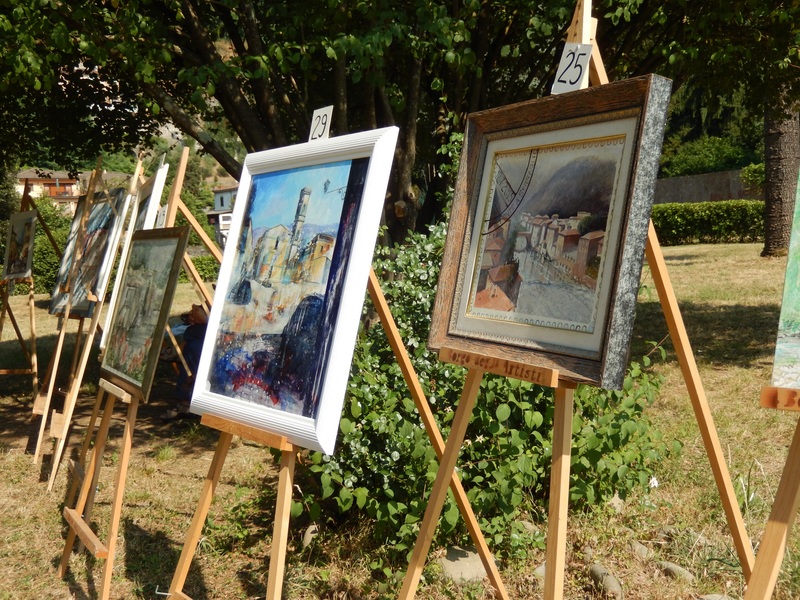 They do a wonderful job on the Art Competition every year. 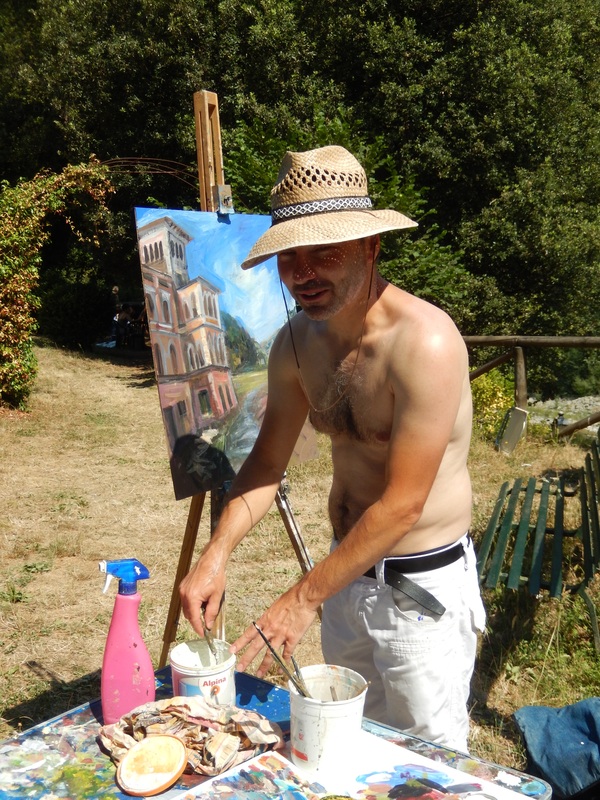 Click here to see the post by Francis with all the paintings and the winners’ works of art.